Kill em all breezy. We got skunked all weekend long. Perfect wind and slipped in and out undetected but nothing showed. 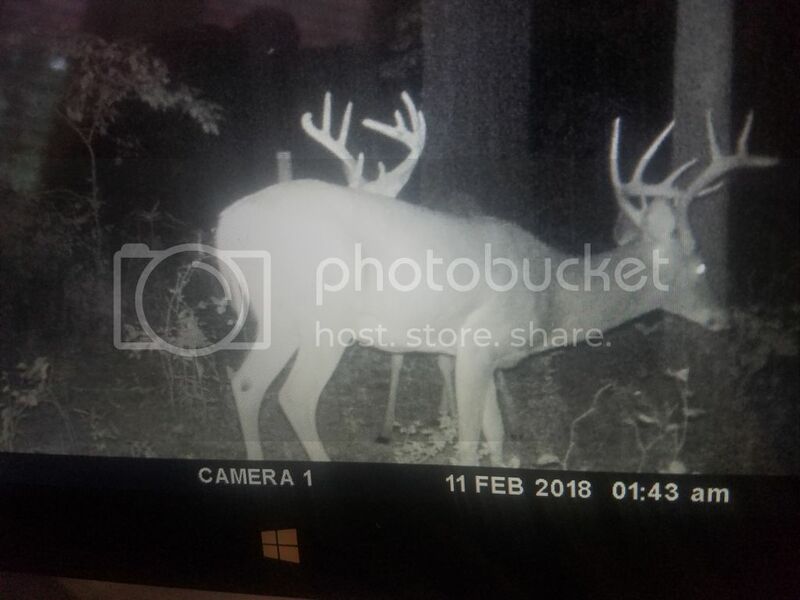 I had 11 bucks in front of the same stand last Sunday morning. Uggh meh. Shedding velvet and acorns dropping evidently changed everything. Good luck JB! Sounds like it won’t be long till you deflate a nice one. The corn is the debil. Seen the bucks all 3 times I've hunted. 2nd time went to the staging area they were in the 1st time I saw them.they walked under the tree I was in 1st day. Last night got close to the corn. Bucks came in late and the 1 I wanted to shoot stood behind a 24inch oak for 20 min eating until it was too late to see peep, Pin, and vitals to make a good shot. You'll get him. I have faith in you. Here's a more unskewed pic now that photo bucket is cool again. Could have shot the one in velvet (slick now) but the other one is the bully deer. Little heavier rack, longer g4, bigger body, year older at least. Kicking myself for not shooting him last Sunday pm. Last edited by jb : 09-17-2018 at 07:08 PM.